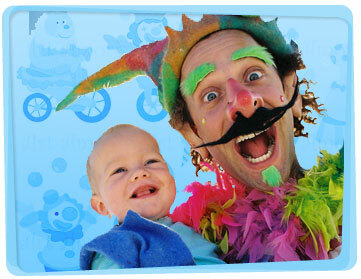 Whether you want to hire a clown for a kid’s birthday party or special event, we have some of the most talented and experienced party clowns in Australia for hire! Over the years Yabadoos’ rapid success including several TV appearances has made it the largest kids party company Australia wide (we service all major cities). We have seen companies come and go but have resourcefully used feedback forms filled in from customers we have entertained to perfect our packages and to ensure we keep on the highest quality of entertainment. A large proportion of our customer base is either repeat business or referrals. 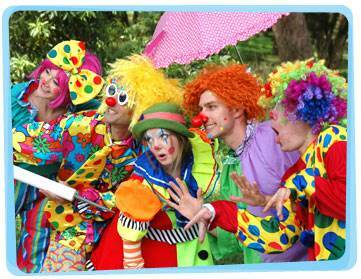 There’s nothing better than some good old fashioned live comic entertainment and our birthday party clowns for hire perform regularly at a broad spectrum of kids events around Australia including Sydney, Melbourne, Brisbane, Canberra, Adelaide, Perth, Newcastle and the Gold Coast.